The most potent pony cars on the market square up on the dyno. The most powerful series-production muscle cars on the American market today are the brand-new 2013 Ford Mustang Shelby GT500 and 2013 Chevrolet Camaro ZL1. Between them they manage a whopping 1,242hp. 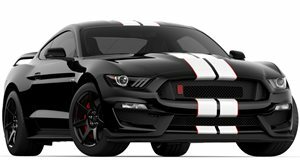 The spec sheet will tell you the 6.2-liter supercharged V8 that lies at the heart of the ZL1 puts out 580hp at 6,000rpm and 556lb-ft of torque at 4,200rpm, while the Shelby GT500&apos;s 5.8-liter supercharged V8 puts out 662hp at 6,250rpm and 631lb-ft of torque at 4,000rpm. Inside Line&apos;s Jason Kavanagh wanted to know if the manufacturers had massaged their figures, so took the cars on the same day to the same operator to enjoy a face-off at the same dyno. Even if such a geeky test doesn&apos;t rock your boat, hearing these monsters snarl and growl should be enough to make you want to click the link. It&apos;s also a good chance to see what the supercharged V8s can deliver at the rear wheels, with the ZL1 managing 497hp and 497lb-ft of torque, and the GT500 bettering that by 98hp and 105lb-ft for figures of 595hp and 602lb-ft of torque. The large discrepancy between Ford&apos;s and GM&apos;s latest muscle cars is ultimately explained as being down to the fact GM can&apos;t let any car in their stable be more powerful than their flagship ZR1 sports car. 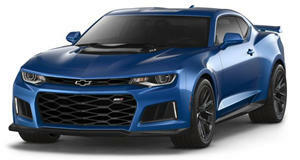 So any additional power that is obviously lurking in the ZL1 remains untapped. The GT500 on the other hand has free reign to breathe as deep, loud and as powerfully as possible.